One man is in custody and two handguns have been recovered after a volley of gunshots rang out near Truman College in Uptown this evening. So far, no one has been found shot. Officers on patrol reported hearing gunshots in the 1100 block of West Wilson shortly after 6:30 p.m. Truman security officers detained one man who may have been involved with the shooters, but he was not armed. Three or four men exited a car in the 4500 block of North Magnolia and began shooting as they moved northbound, according to witnesses. Shell casings were also found inside a silver Chevy Malibu that was abandoned on Magnolia. Cops scoured the area and found a handgun on the sidewalk in the 4600 block of North Racine. Later, a second gun was found in an alley on the same block. One of the primary suspects who is still on the loose is described as a black male in a dark hoodie who was last seen running on Racine and then turning onto Leland moments after the shots rang out. Monday night’s gunfire followed a similar incident near Montrose and Hazel on Sunday night. In Sunday’s incident, no one was struck after an estimated ten gunshots were fired by men who emerged from a black Chevy Impala near Montrose and Hazel around 7:50 p.m. Witnesses reported that the person who was targeted in the shooting ran into an apartment complex in the 800 block of West Sunnyside. He was apparently not injured. 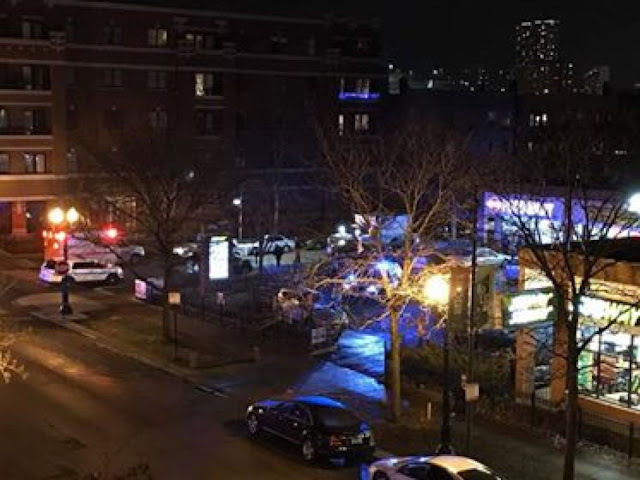 A man who was believed to be driving the shooters’ vehicle was taken into custody minutes later in the 5500 block of North Ravenswood in Andersonville. He has not been charged with any criminal violations as of this evening, police said. The past six weeks have been particularly violent in Uptown, with twelve people shot in the neighborhood since November 1. Two people were shot in the 800 block of West Windsor on Friday, and four people were shot in the 1100 block of West Wilson near the scene of tonight’s shooting activity on December 6. No one is in custody for any of the recent shootings that resulted in injuries, police said.